Indivisible [Official Site] is a new action-packed RPG from the Skullgirls creator and they've confirmed it will be on Linux at launch. It will definitely be available on Linux at launch! Short, positive and to the point—exactly how we like it. 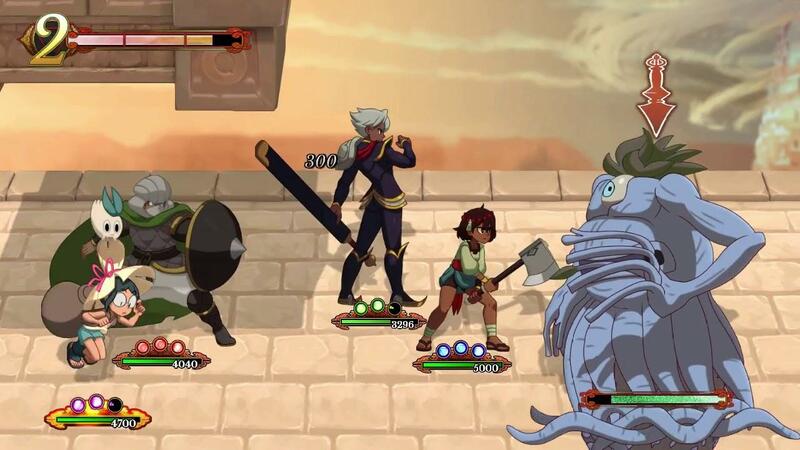 Indivisible is an exciting RPG platformer set in an immersive, vibrant world that tells the story of Ajna, a good-natured tomboy with a rebellious streak. Raised by her father on the outskirts of their rural town, her life is thrown into chaos when her home is attacked and a mysterious power awakens within her. Her world now in chaos, Ajna sets out on a quest to save everything she knows from being destroyed. They also attended the Anime Expo 2017, where they gave a full panel and another look at the game, which you can see here. The game actually had a public test build some time ago, which our contributor flesk took a look at back in 2015. I remember testing it myself too and it did run rather nicely. Great to see the developer is still fully positive about it coming to Linux! It's due sometime in the "Fall" of this year. Will you be grabbing a copy when it releases? Thanks for the tip argumento! Looks great. Skullgirls is still a favorite in my home and so I am willing to give this game a shot just need to get 8 games out of my backlog completed and I will strongly consider adding it to my collection. The beta was fun, and Ajna's really cute. I'd buy it. side scrolling rpg, haven't seen one of those since Dungeons & Dragons: Chronicles of Mystara first came out. but of course this seems a whole lot better in some ways, the combat dynamics look quite interesting. melkemind The beta was fun, and Ajna's really cute. I'd buy it. Also, Watched the trailer and it looks solid (from their site). If those guys can' get the combat down in an action setting, few could. I imagine it'll be good, and the platforming looked tight and responsive with variation of abilities. The combat update video in the article makes me wonder how much the combat changed from the other video, but it's prob just a bit more depth added, and they left out the UI side in it so difficult to tell. I'll of course wait till it releases, but I'll def be picking this one up. Not played a valkyrie profile style game in a long time. Like their attitude. Also the game looks like it good be really fun. Gonna pick it up!